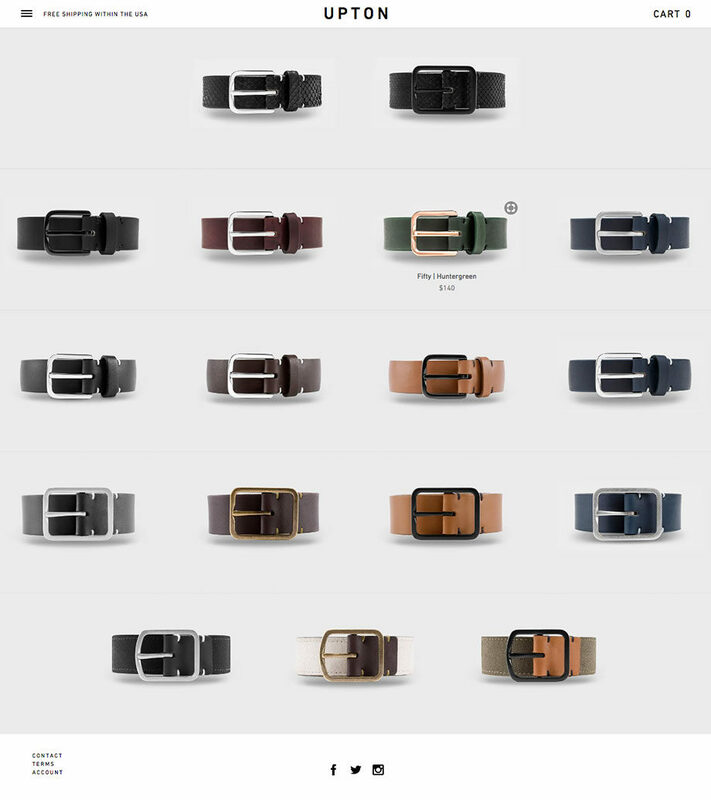 Upton belts was founded with the goal to reinvent the belt by offering custom-fit design at a fair price. Their product is not just any belt, superior materials and meticulous craftsmanship make each Upton belt a unique creation. 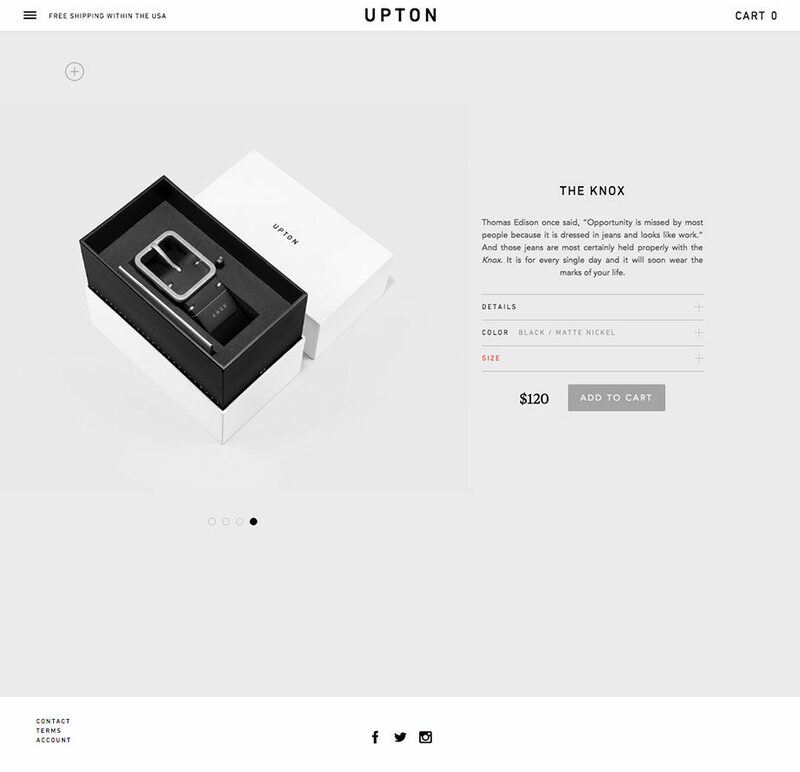 Selling the Upton belt collection exclusively online was the cornerstone of the brand strategy to offer the best possible product at the better price. As Shopify Experts, we created a powerful e-commerce platform that communicates and sells the product of a genuine and honest company.